Uses a 12.00 mm crochet hook. British crochet terminology used. 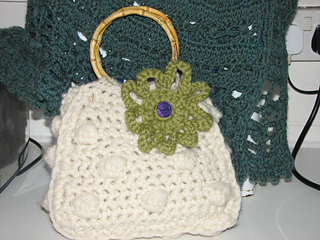 Called ‘bobble bag’ in the book and ‘cute crocheted tote bag’ on the free download.